From fingerbones to flowers to the galaxy, the golden ratio, or the divine proportion, is said to be the most perfect number in all mathematics. As a “natural” means for humans to deal with divisions of time and space—seen in ancient architecture or the “Mona Lisa”—composers like Mozart, Beethoven and Chopin have worked it intuitively into their music for centuries. But French composer Claude Debussy made a conscious attempt to use this ratio, asserts Roy Howat in his book Debussy in Proportion. The ratio is heard in this architect of sound’s seminal work, La Mer—arguably the most famous and important French symphony. When it premiered in 1905, however, it was not well received, due to Debussy’s unfavorable reputation at that time and because of a lack of rehearsal time. Popular opinion has changed since. Debussy’s Impressionistic portrait of the sea imparts the flow and sensuality of water. Like musical onomatopoeia, the sonorous tones lap and sway and the harmonies move like wind over water. Debussy described it as three symphonic sketches rather than a symphony. The two powerful outer movements contain the lighter, faster inner one. In full, with intimate detail and delicate balance, it’s golden; perfect. 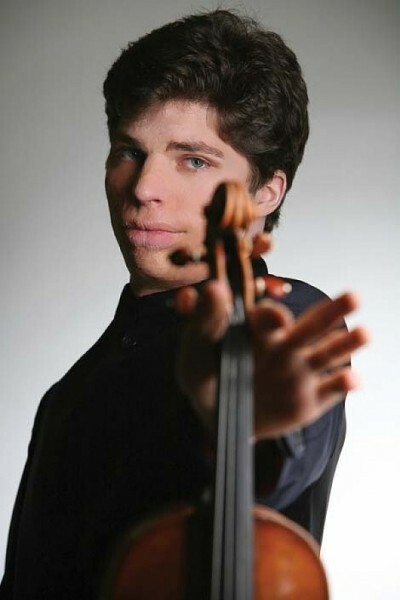 Before Utah Symphony, conducted by Julian Kuerti, dives into such perfection, German violinist Augustin Hadelich (pictured) will guest on Bartok’s exotic Violin Concerto No. 2 and the symphony will perform Mozart’s raucous overture from The Abduction From the Seraglio and selections from Rachmaninoff’s Cinq Etudes—tableaux. Utah Symphony: Debussy’s La Mer @ Abravanel Hall, 123 W. South Temple, 801-533-6683, Feb. 4-5, 8 p.m., $15-85. UtahSymphony.org, ArtTix.org.